How better to visit magnificent Dunster Castle than by a leisurely ride through the beautiful West Somerset countryside, hauled by a vintage steam engine? The Dunster Castle Express will be running most Wednesdays and Saturdays until November. 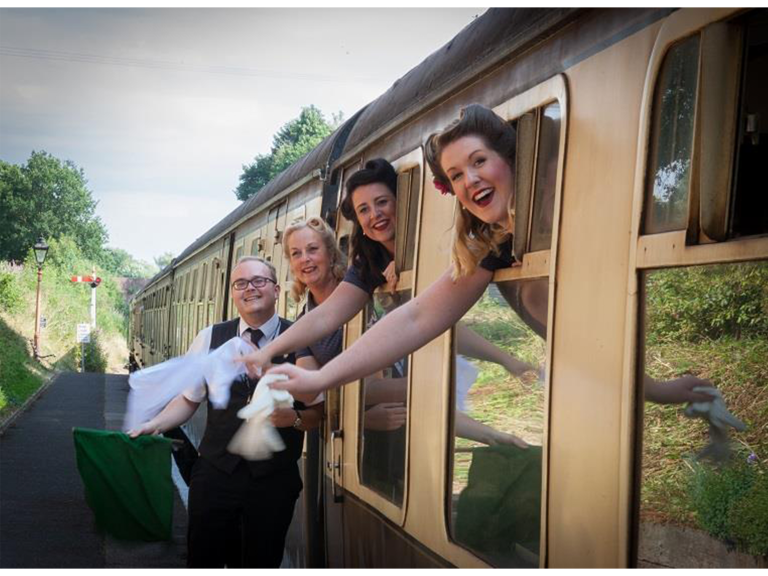 Arrive in style, at a pace that reflects the Castle in its early 20th Century heyday, with a special coach connection from Dunster station to the Castle entrance. Enjoy a fulfilling visit to the Castle, with its fine interiors, stunning views of Exmoor and over the Bristol Channel. Your journey will begin at Bishops Lydeard, where you will catch the 10.15 service to Dunster station. The bus connection will meet you there and take you up to Dunster Castle where you can enjoy the rest of your day. The Bus driver will then advise you the collection time and place. The return bus journey brings you back to Dunster Station where you can enjoy your leisurely train ride back to Bishops Lydeard at 16.39. Dogs are permitted on the train and in Dunster Castle Grounds (not in the Castle itself or the gardens). However, they are not permitted to travel on the bus. Dunster Castle is a 30-minute walk from the station. Picnics will also be available, however the menu is not yet confirmed.